Are you a fan of Golden Books? The first 6 episodes of the epic Star Wars space saga--The Phantom Menace, Attack of the Clones, Revenge of the Sith, A New Hope, The Empire Strikes Back, and Return of the Jedi--are retold in the Star Wars Little Golden Books Library Boxed Set! 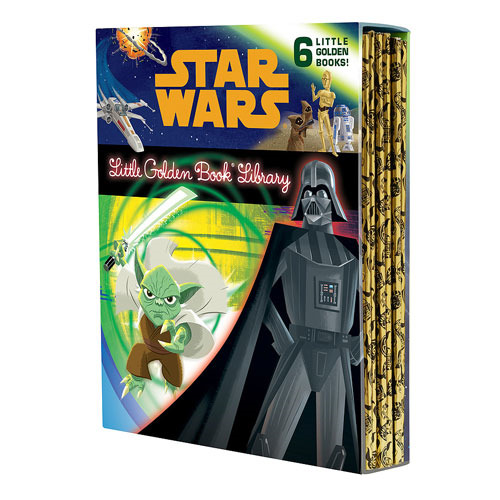 Featuring stunning retro illustrations, this boxed set of 6 Little Golden Books is perfect for Star Wars fans of all ages! Measures about 8-inches tall x 6 3/5-inches wide. Ages 10 and up.